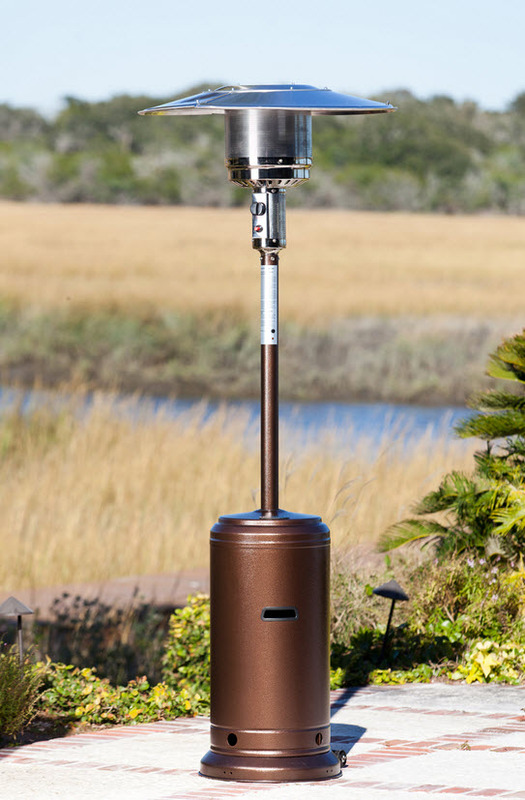 Our Hammer Tone Bronze Standard Series Patio Heater is the perfect way to extend your backyard entertaining season. This sturdy unit produces 44,000 BTU's using a standard 20 lb. propane tank and has wheels for easy mobility. The stylish hammered bronze finish perfectly accents and enhances your patio decor. This handsome CSA approved patio heater includes a tip over protection safety feature. Assembled Dimensions: 18" Base, 32" Hood, 87" H, 42 lbs.